This weeks block is titled: Untitled 1. Now, this block is super dooper dodgy as I tried to paper piece without cutting my block up into three separate pieces. It totally didn't work and I left myself unpicking and resewing and almost throwing it out. 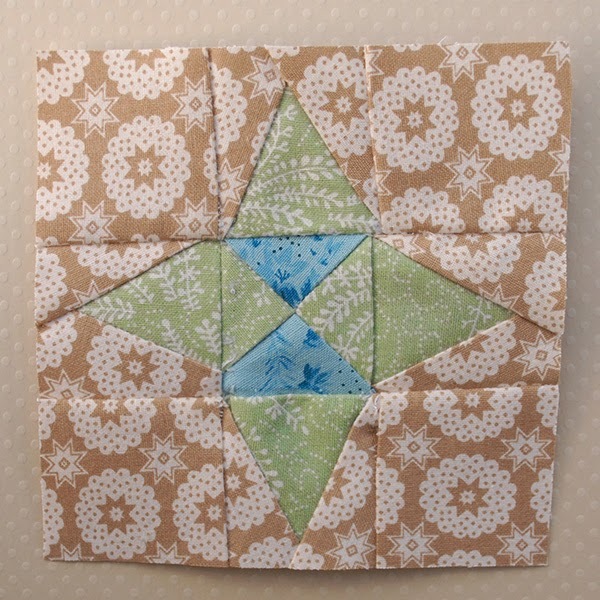 But you know, once it is in a big quilt, no one is really going to notice how bad this individual block is. Right? Right?! Sigh. I can only improve from this point.